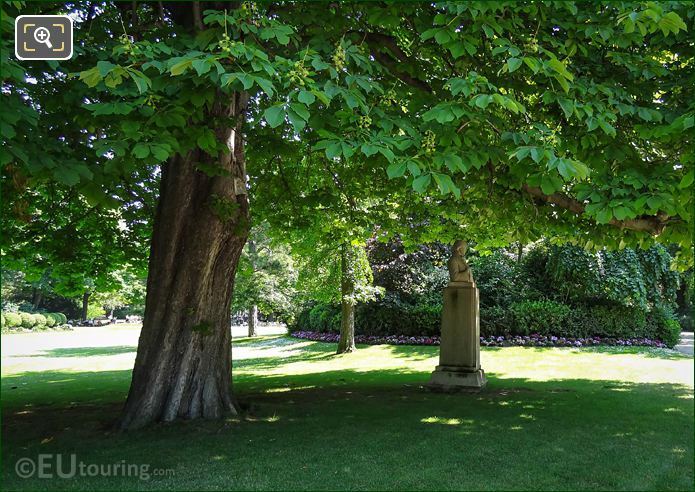 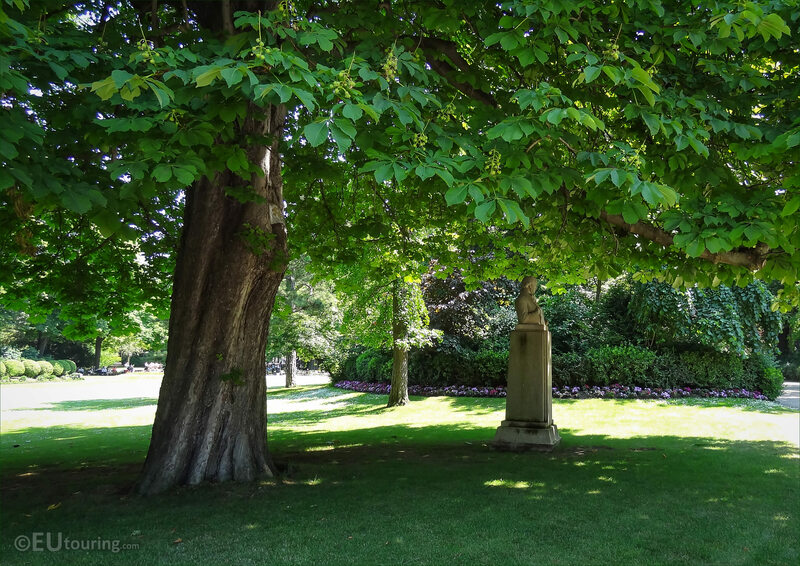 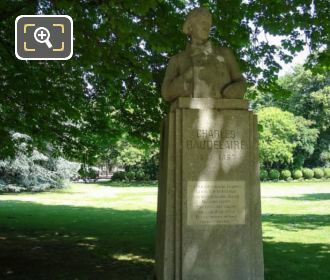 Again we were within the Jardin du Luxembourg, which is a popular tourist attraction located in the 6th Arrondissement of Paris, when we took these high definition photos showing the Monument to Charles Baudelaire by French sculptor Fix-Masseau. 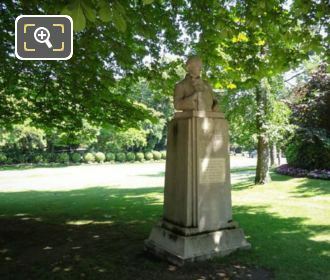 This first HD photo shows the full monument with the bust of Charles Baudelaire, all made of stone, which is known as a stele, in other words a funerary or commemorative monument normally taller than it is wide, and this was executed by Pierre Felix Masseau, who was known throughout his career as Fix-Masseau. 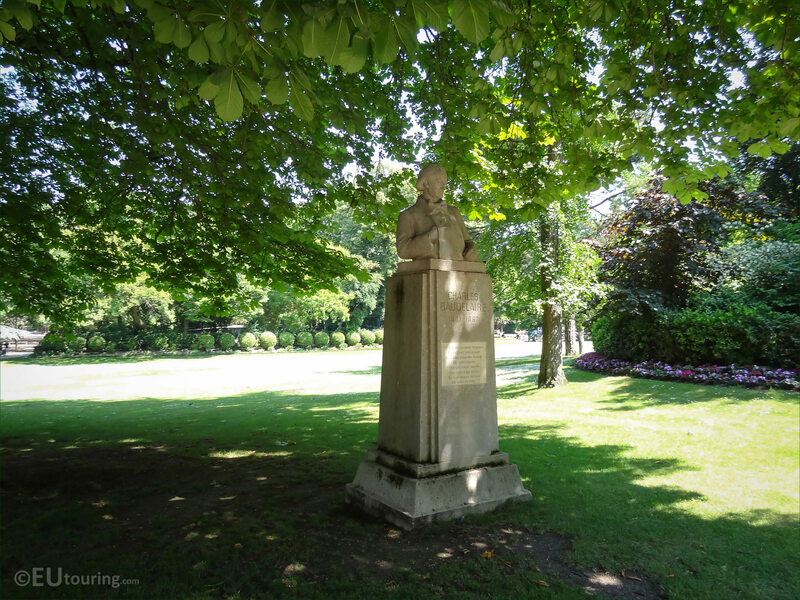 The stone monumental statue is a total height of 3.1 metres, and the bust itself is an impressive 0.95 metres, and although it was completed in 1933, it was not actually installed within the Luxembourg Gardens until 1941, yet it was moved to its current location in 1966, remaining in this position ever since. 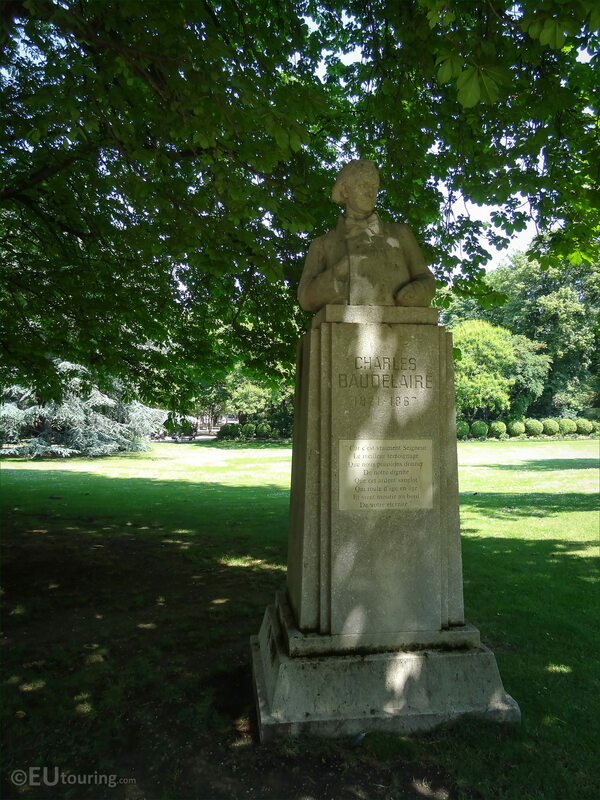 In this image you can see a close up of the bust depicting Charles Baudelaire who was born on 9th April 1821 and became a French poet, essayist and art critic, along with being a pioneering translator of the works of the American Edgar Allan Poe. 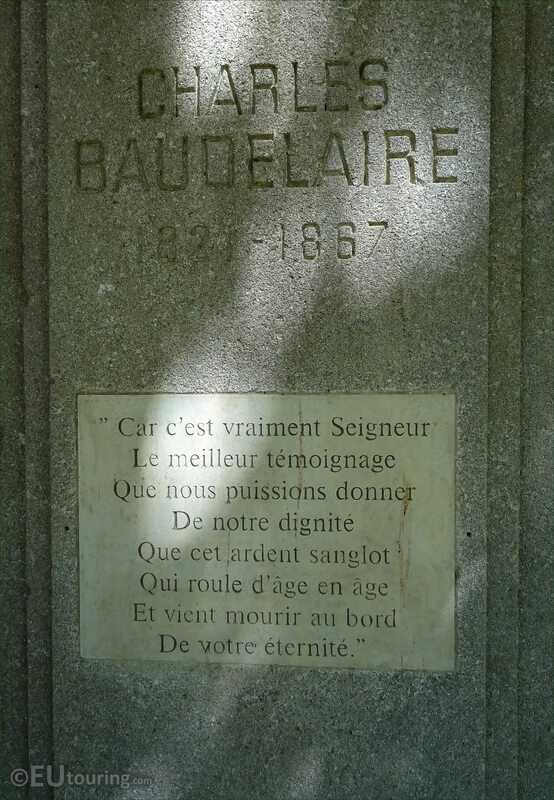 But his most famous work is called Les Fleurs du Mal, which translates to The Flowers of Evil, yet his original style of prose poetry and being an innovator in French literature was to inspire other poets such as Arthur Rimbaud and Paul Verlaine, yet with all his problems from drinking, smoking, financial difficulties, etc, he suffered a major stroke in 1866, which left him paralysis and later he died in Paris on 31st August 1867. 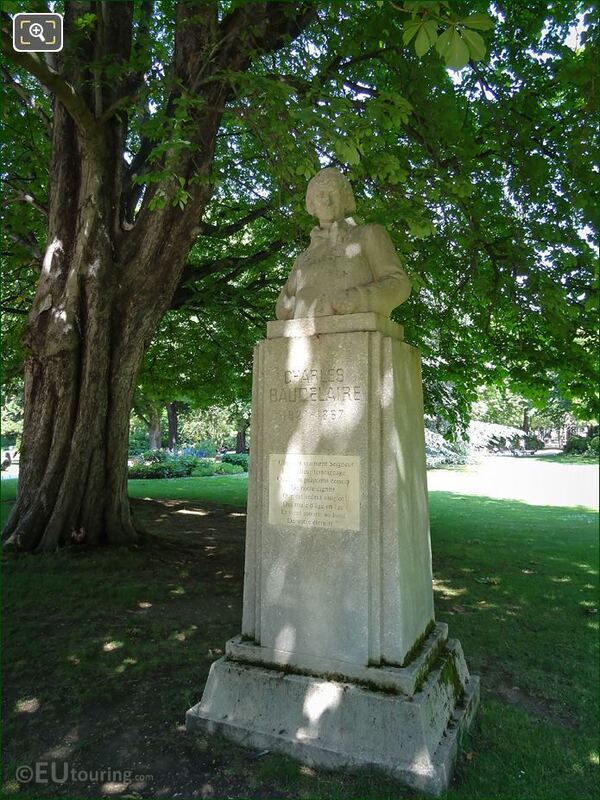 And this stone Monument to Charles Baudelaire was produced by Pierre Felix Masseau who was born on 17th March 1869 and studying at the Ecole des Beaux Arts in Paris he became a French sculptor and printmaker. 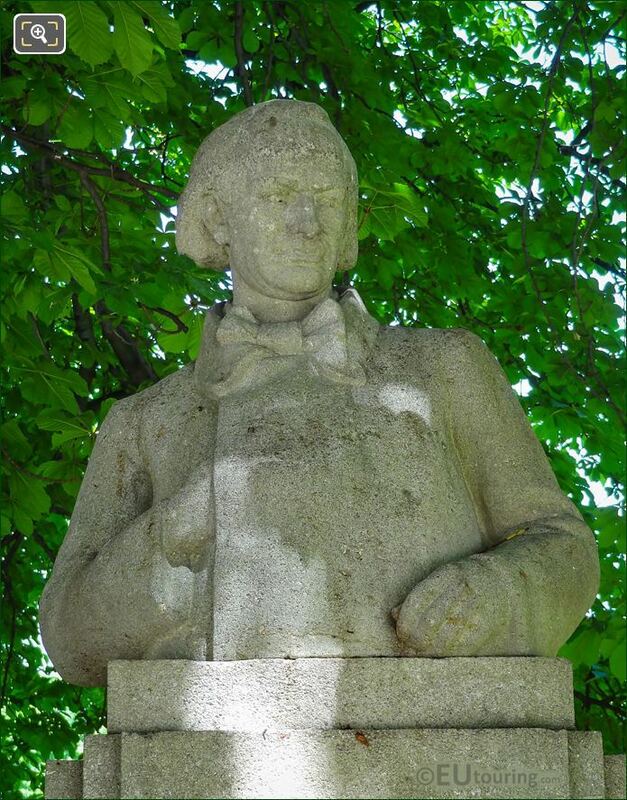 Yet Fix-Masseau, as he was known, served as the director of the Ecole Nationale d'Art Decoratif in Limoges until 1935, and after he passed away two years later, many of his works were put on display within the Musee d'Orsay in Paris, where they can still be seen today. Also, earlier on we mentioned that this statue was moved to its current location within the Jardin du Luxembourg in 1966, which was a decision made by the French Senate as it was better tuned to the talent of the sculptor and the genius of the poet, and can now be found close to the entrance on the Rue Auguste Comte, opposite the Lycee College Montaigne.